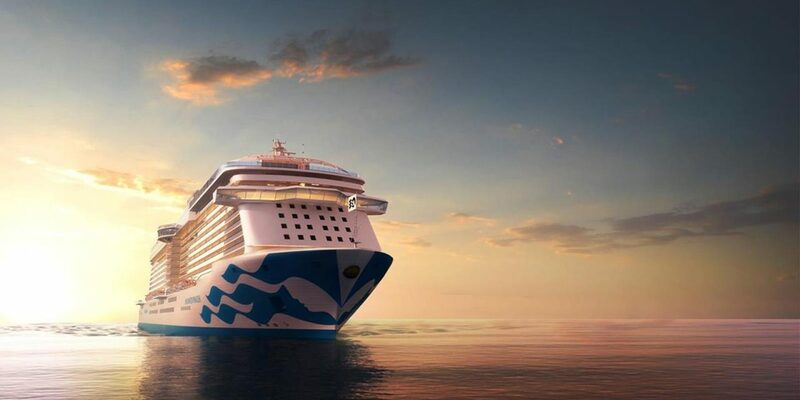 Princess Cruises’ Sky Princess, set to debut late this year, will bring some new features in addition to favorites found on her three sister ships. 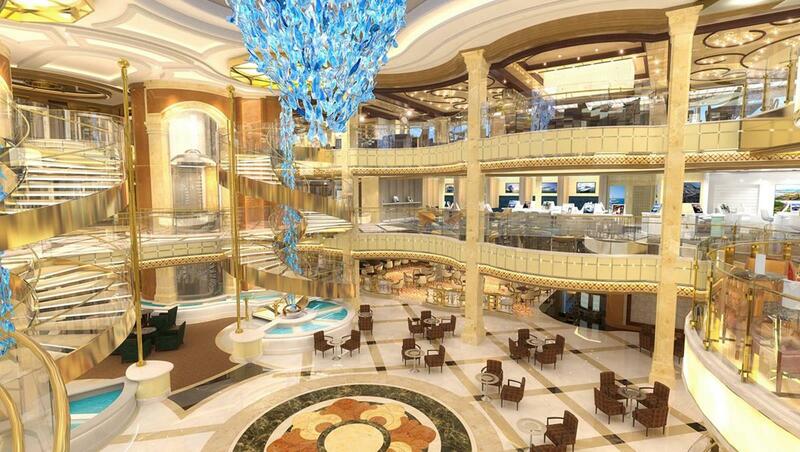 The fourth Royal-class ship, at 143,900 gross registered tons, will accommodate 3,660 guests. The Sky Princess will make her big splash this October in the Mediterranean and offer 10 departures on eight itineraries. In December, her naming ceremony will be followed by a three-day inaugural cruise from Port Everglades, Florida. 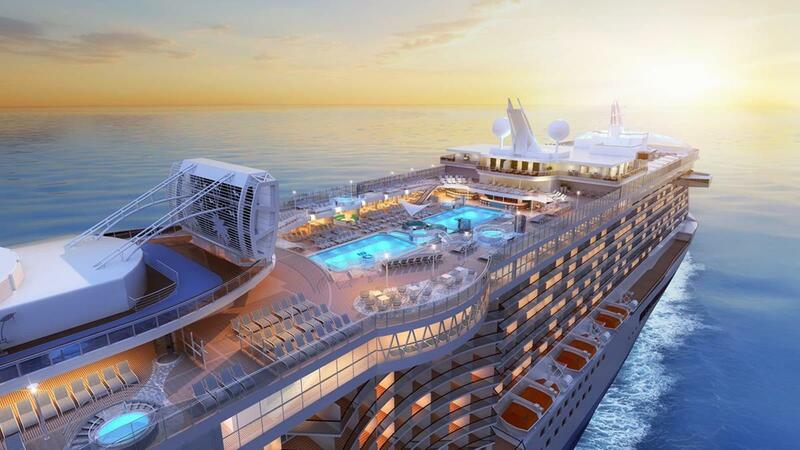 Then the Sky Princess will start sailing on seven-day Western and Eastern Caribbean cruises through April 2020. This provides diverse options for groups. 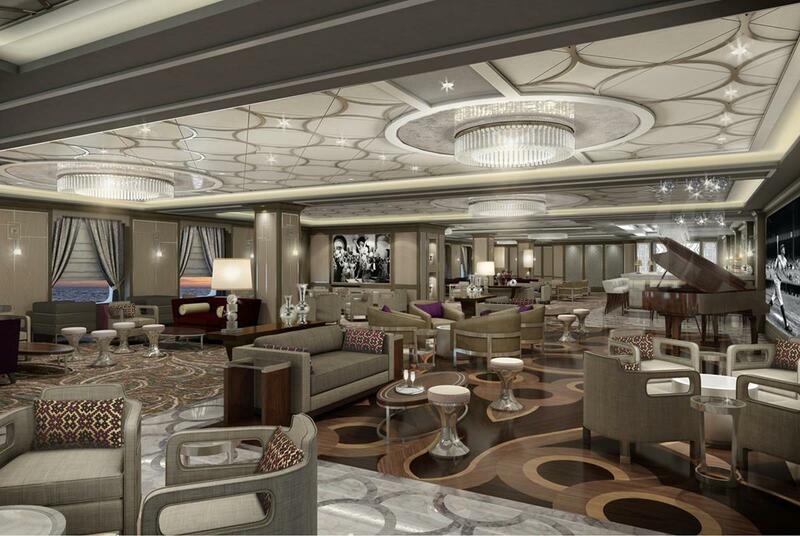 The Sky Princess will include the cruise line’s first-ever Sky Suites. Centrally located on the top decks of the Sky Princess, the two Sky Suites can accommodate five guests. They feature 270-degree panoramic views and the largest private balconies available (700 square feet). 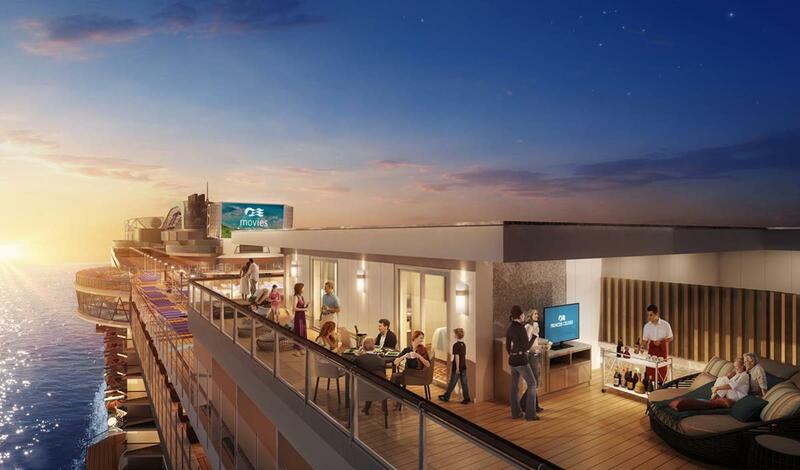 The balconies allow guests to watch Movies Under the Stars without having to leave their room. Also, there is plenty of space for entertaining guests. The suites have two bedrooms, two bathrooms and a skylighted dining area. Guests staying in the Sky Suites will enjoy exclusive perks such as having access to a pre-cruise, shoreside concierge, complimentary access to the Lotus Spa’s Enclave and enjoying Sanctuary services on their balcony. Besides the new Sky Suites, the Sky Princess has some other new additions. The Wakeview pool is located on the aft decks. There are two deep-tank pools onboard. And the Retreat Pool will be for adults only. 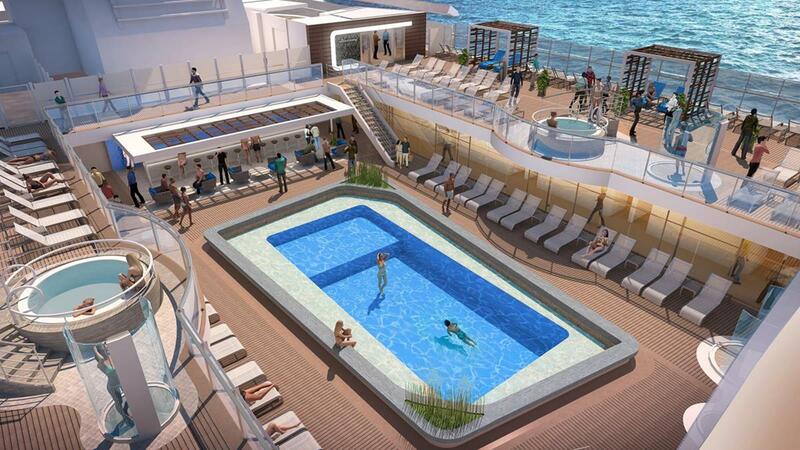 The Sky Princess will have more Jacuzzis, and the Sanctuary area will offer more private cabanas. A new cafe in the Princess Live venue will serve barista-made coffee, tea and quick bites. Also new is the Take Five lounge, featuring live jazz music. The main theater will have two all-new musical productions. Princess signature features will include the adults-only Sanctuary, multi-story Piazza Atrium and Movies Under the Stars. The new ship will also have the Princess Live TV Studio. The Enclave will boast Princess Cruises’ largest thermal suite, which features a hydrotherapy pool with cascading rain shower. 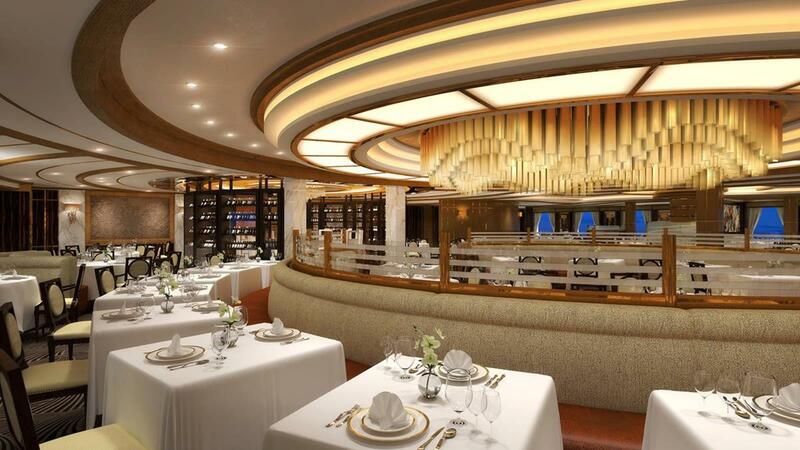 With more than 25 restaurants and bars onboard, the Sky Princess provides plenty of food-and-drink options. Complimentary dining includes Alfredo’s Pizzeria, the Salty Dog Grill, International Cafe and the World Fresh Marketplace as well as the Main Dining Room. The Ocean Terrace Seafood Bar, Princess Live Cafe, Sabatini’s Italian Trattoria, Crown Grille and La Mer are extra-charge. 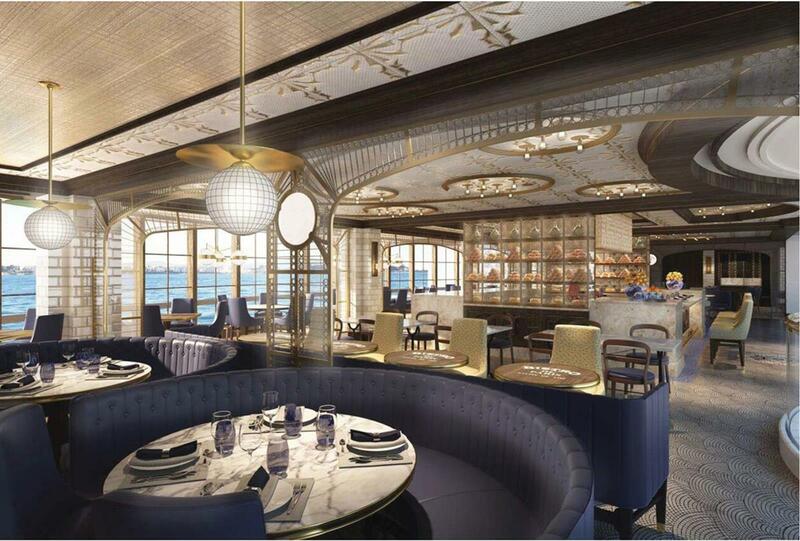 La Mer, a specialty French restaurant operated in partnership with 3-Michelin star chef Emmanuel Renault, will be located in the Sky Princess’ Atrium. 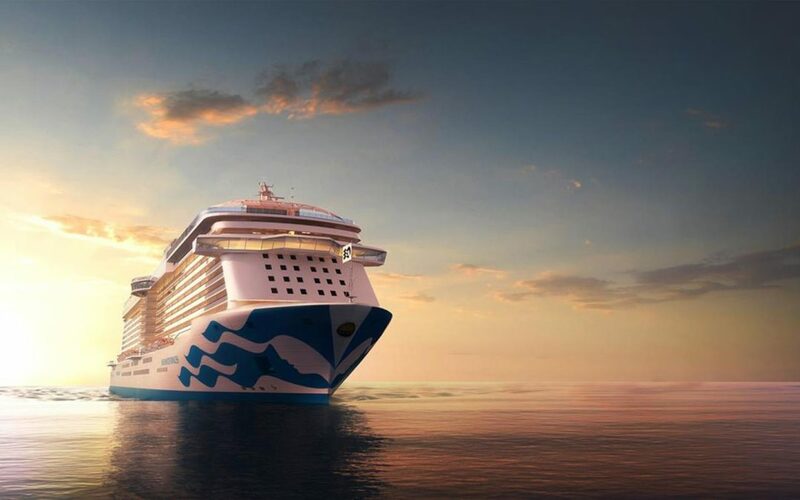 It first debuted on the Majestic Princess. Guests sailing on the Sky Princess will receive a complimentary wearable device, the OceanMedallion™, which lets guests enjoy a hassle-free vacation and easily personalizes things. It holds the cruise guest’s unique digital identity and communicates with readers onboard and off the ship. There’s no on or off switch, charging needs or menu. Guests can use the OceanMedallion to unlock their stateroom door, speed up embarkation, make payments, sign up for shore excursions, and make dining reservations and spa appointments. It also can help guests find their way around the ship and enhances interaction with guests and crew members. The OceanMedallion doesn’t contain any personal information, and it’s associated with the cruise guest’s profile and the onboard security picture taken. It can be worn as a pendant, a wristband, or simply clipped to a pocket or stashed in a bag. The OceanMedallion is shipped to guests in advance of their cruise. Following her schedule of 10 Mediterranean departures in October and November, the Sky Princess will arrive at her new homeport in Port Everglades. 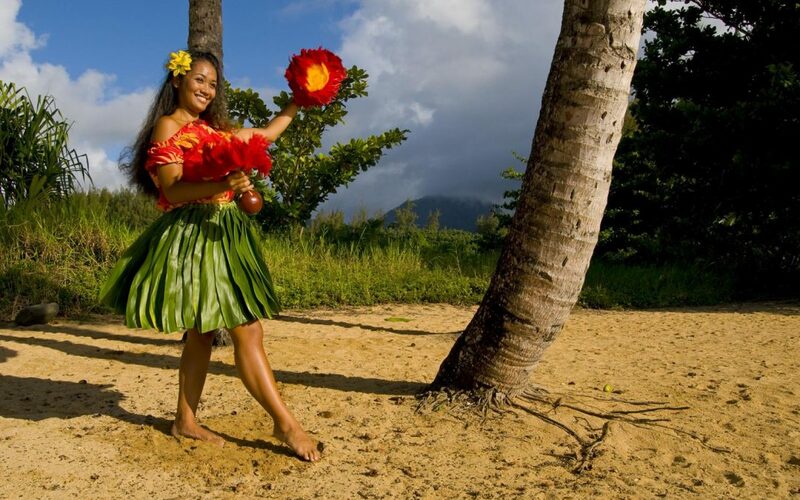 On December 4, she will sail on a three-day inaugural cruise that visits Princess Cays. 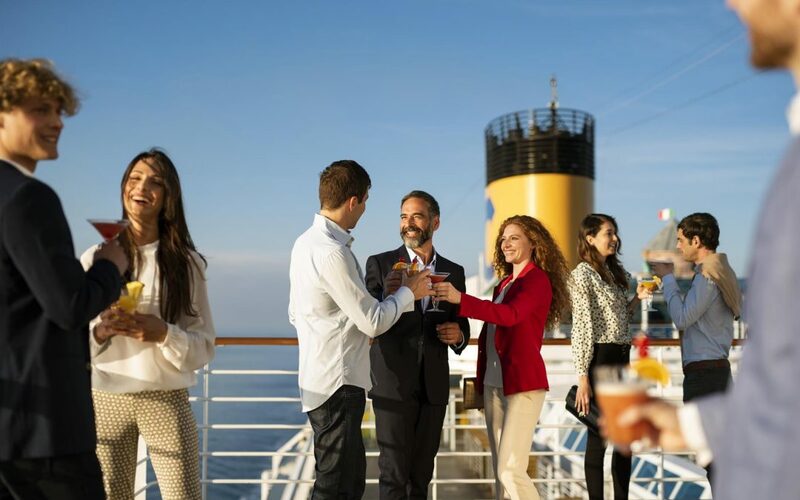 A season of seven-day Eastern and Western Caribbean cruises runs from December 7 through April 4, 2020. A unique feature: All Cozumel and St. Thomas port calls will offer late-night stays. With her diverse itineraries and new features, the Sky Princess is one to consider for a future group trip.